Coffee lovers often have to face such a problem as darkening of the tooth enamel. But this is no reason to limit yourself in the use of a pleasant drink and switch to distilled water. There are many ways to bring teeth to whiteness – professional and at-home teeth bleaching. There are many suggestions from the Burbank dentist about how to care for teeth so that such problems rarely visit us. If you need the bleaching of teeth, first of all, consult My Dentist Burbank. Call 1-818-578-2332 for an appointment today. In a professional dispute about how coffee affects the state of teeth in general and their color in particular, the point has not yet been reached. As for color changes, then most experts agree: if the enamel is perfect, without damage, then neither tea, nor coffee, nor any other “coloring” drinks and products will spoil its color. When drinking very hot coffee or coffee with ice cream, contrasting temperatures lead to the formation of micro-cracks. It increases the sensitivity of the teeth. Tooth discoloration due to the frequent use of coffee is associated with the absorptive structure of the tooth enamel. Microscopic particles contain the pigment molecules. Pigment molecules fall on the porous surface of the enamel. Those color pigments clog the pores and microcracks, which leads to tooth staining. Tooth enamel loses its white color, shine and becomes dull. It acquires a yellowish or even brownish tint. Coffee contains caffeine and heavy carbohydrates, cocoa butter. When consumed in large quantities, coffee does not only accumulate on the teeth. Coffee also forms a dark halo along the edge of the gum. As you can see, an excessive consumption of coffee and strong tea leads to the discoloration of teeth. In most cases, it is not possible to cope with this problem independently, without the help of a dentist. The Burbank dentist does not recommend drinking hot coffee in the winter outside. As well as drinking it along with ice cream – the temperature contrast destroys the enamel. The teeth become darker as a result. Some recommendations, in order not to lose your snow-white smile. Limit consumption of colored drinks and foods. Do not drink the coffee too hot. Drink natural coffee without sugar and milk. After coffee, brush your teeth. Every time, after drinking coffee you need to brush your teeth if you are at home, or use chewing gum if you are at work. Do not forget about the coffee stain on the tongue. If you do not remove it, it will become a haven for oral bacteria that pose a threat to teeth. For this purpose, use any rinsing solution, which can be purchased at any pharmacy. Exclude the use of temperature contrasting products. Do not drink hot coffee with cold ice cream or cold water. To carry out professional teeth cleaning at least once every six months. How to Whiten Teeth from Stains after Coffee? 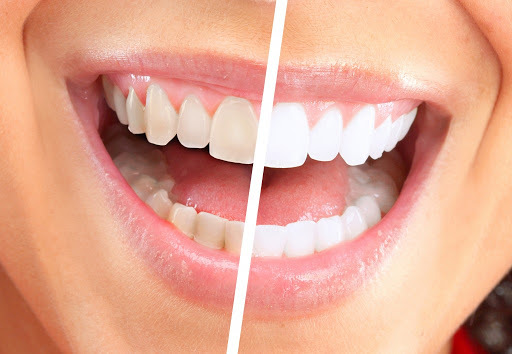 The need for teeth whitening procedure is faced by almost every person for whom the whiteness of teeth is important. There are several teeth bleaching options that can whiten your teeth in a short amount of time. Explore ways to do it quickly and without harm to enamel. 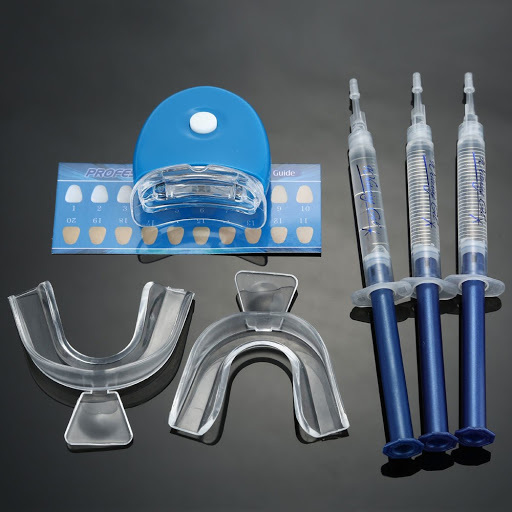 Over-the-counter teeth whitening kits are an easier way to whiten your teeth. Kits come in a variety of options including whitening strips and mouthguards filled with gel. Those are fast and convenient ways of teeth whitening at home. An in-office teeth whitening process consists of a single visit to the My Dentist Burbank. Standard visits last 90 minutes. Whitening procedure is performed using a laser with a translucent bleaching gel. At first, a protective coating is placed on the gum tissue and lips. The whitening gel is applied to the teeth surface. After that, an ultraviolet lamp is beamed onto the teeth. A specialized light or laser activates the gel and allows whitening to happen faster. To achieve and maintain the natural whiteness of teeth, you must regularly visit the Burbank dentist, properly and fully brush your teeth. Visiting the dentist should be at least twice a year. 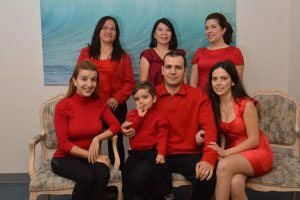 At the reception, the best dentist in Burbank, Dr. Sahakyan will assess the state of the hard tissues of the oral cavity. He will perform some hygienic manipulations, remove all hard and soft dental deposits, clean the hard-to-reach places for the toothbrush. On the surface of the tooth, there is an invisible film on which various deposits are attached and give the teeth a yellowish to brownish tint. It is not possible to remove hard dental deposits without professional tools. There are pros and cons to both over-the-counter and professional bleaching versions. The over-the-counter variants are less expensive and can be done at home. While these methods can be painful or cause gum and tooth sensitivities. With professional teeth whitening at My Dentist Burbank, you can achieve the bright, attractive smile you have always wanted. Professional teeth whitening procedure can be performed entirely in the cosmetic dentist’s office. The most effective method of teeth whitening is the professional techniques. There are also whitening options for patients with sensitive gums and teeth. The Zoom in-office tooth whitening process is a perfect and effective way to achieve a snow-white smile. 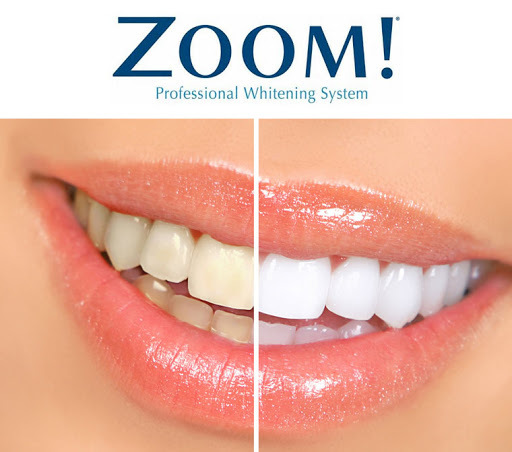 The Zoom whitening system is a fast method of bleaching teeth. Only one hour and your teeth will be sensationally white. The system is safe. A high concentration of active substances brightens the outer layer of the enamel, without changing the inner structure. There is a whitening of up to 7-10 shades. The procedure is very simple and painless. It begins with a short preparation to isolate the lips and gums. As a result of this preparation, only the teeth are left open. Then, the Burbank dentist applies a proprietary gel Zoom. It is activated by a specially selected light. The teeth become whiter on average by eight shades. Teeth sometimes become whiter than they were before. A 5-minute fluoride treatment ends this procedure. In most cases, the teeth become even whiter after the first few days of the procedure. Teeth whitening has become one of the most common procedures in cosmetic dentistry. The most effective teeth whitening process can be obtained at My Dentist Burbank in conjunction with professional dental care. If you want to get a sparkling smile, do not wait, contact Dr. Sahakyan, At My Dentist Burbank to learn more about our methods and choose the best for yourself. Call 1-818-578-2332 for an appointment today. Why Soda Is Terrible for Your Teeth?